The Khmer Rouge took power in Cambodia in 1975. (1) Their goal was one of turning the nation into one of an agrarian socialist society. As well as resetting the official date to “Year Zero”, they embarked upon a program of forced labour, evacuating the cities and sending the inhabitants to work in the fields. The demands – as in China’s great leap forward – were impossible to meet and the result was not an increase in production but a decrease. The shortage of food combined with the punishments meted out and the appalling conditions contributed to the death of many of the Khmer Rouge’s slave army of peasant labourers. In Venezuela a paltry 25% of agricultural land is used;(4) even then it is not all used as productively as it could be. This has its origins in the decision of Maduro’s predecessor, Hugo Chavez, to expropriate the land of wealthy land owners and distribute it to the urban poor. (5) They were grateful for the land, of course, but many did nothing with it; save rear a few chicken or grow a few potatoes for personal consumption. (6) With this, the production of food fell. Nevertheless, with oil high, Chavez was able to buy food abroad and distribute it to the poor to satiate their appetites. With the fall in oil prices, and the collapsing economy, this capacity has reduced to below subsistence level. Aggressive policies of price controls and the seizure of private enterprise have rendered doing business unprofitable or simply impossible. Businesses have shut and shops have closed. Of course, this is not Latin America’s first rodeo with price controls and socialism. Many will know of the “Special Period”, as Cubans colloquially call it, when the Soviet Union disintegrated and subsidies ended. Without the handouts, the Cuban economy collapsed and people were reduced to eating neighbourhood cats and dogs. (7) Some socialist rules were thereafter relaxed to bring some economic gains to the island and to prevent mass starvation, but rationing persists to this day. The shopkeeper’s story was the same as that of so many other producers and merchants. Government price controls had crippled the market. Selling food became unprofitable. Hunger unavoidable. The BBC has blamed a number of causes for the horrors experienced by today’s Venezuelans, from hoarders and speculators, to the fall in oil prices. (10) It is true that in Venezuela the drop in oil prices has bitten hard into the public purse. But many other countries have endured the fall in oil prices without mass starvation and many did not have oil in the first place. Therefore it is wrong to look at the fall in oil prices as the cause. Perhaps a better way of looking at it is this: The Chavistas have been socialist skinny-dippers and the price of oil has been the tide. When the tide was high, everything was fine. But once the tide went out, that’s when the pricks were revealed. Where a government interferes with an economy the consequences are inevitably terrible. In a very developed and diversified economy such as the UK, the consequences of many interventions can be mitigated by the hard work and entrepreneurship of the people. We can sustain the plunder of parasitic parliamentarians and their cronies. 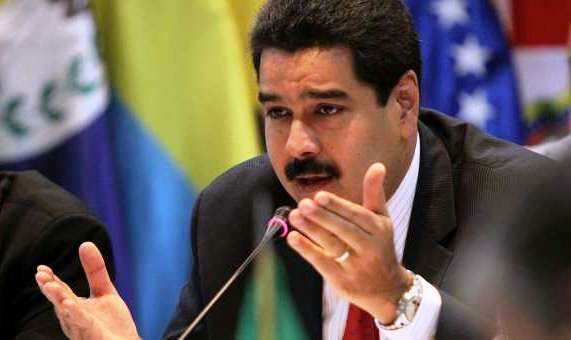 However, for an economy as fragile as Venezuela’s, the people are not so lucky. 4 Statistics per the world bank: http://data.worldbank.org/indicator/AG.LND.AGRI.ZS?end=2013&locations=VE&name_desc=true&start=1998. On price controls and the impact of the falling oil price on farming: http://www.bbc.co.uk/news/world-latin-america-35642365. 6 For an example of the events that took place, see this article in the Guardian discussing the arrival of squatters onto a British Company’s land: https://www.theguardian.com/world/2005/jan/25/venezuela.sibyllabrodzinsky. The effect of such actions was to reduce the land used productively by the big companies and ranches and to replace them with subsistence farming. Some of the squatters lacked farming skills and, even with the best intentions, they failed to produce the same yields as were produced previously. Economies of scale were lost and the fear of expropriation led the remaining ranchers to under-invest in their lands, further exacerbating the problem. 8 See the BBC’s “on this day” retelling of the takeover of Nicaragua by the Sandanistas, a Marxist revolutionary paramilitary organisation who overthrew the brutal dictatorship of Anastasio Somoza Debayle: http://news.bbc.co.uk/onthisday/hi/dates/stories/july/17/newsid_3870000/3870281.stm. Once in power, they implemented a system of socialism which lasted for over a decade. They ultimately lost power after submitting to pressure to hold democratic elections in 1990. Interestingly, they are now back in power; this time via the ballot box. 9 Stephen Kinzer, “Blood of brothers: Life and war in Nicaragua”, 1991, the David Rockefeller Centre for Latin American Studies, Harvard University, 2007 edition, p121. 11 F A Hayek, “The Fatal Conceit: The Errors of Socialism”.